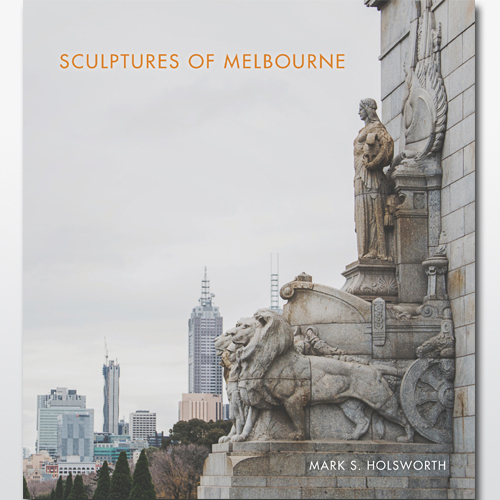 People have been asking me how my book, Sculptures of Melbourne is doing since it was released in May. I am still working on promoting it, as well as, writing bog posts, pitching for articles and applying for writers awards, the last two without much luck except for a couple of reposts in The Daily Review. I do have a few more events and other things coming up to promote Sculptures of Melbourne. On Sunday there is my sculpture walk for the Melbourne Writers Festival (you can book for on the festival website). I can’t believe that I am in the Melbourne Writers Festival with my first book. My neighbour Jane, who has written several books and a fun blog about her job on Melbourne’s railways (Station Stories), is green with envy. The festival liked the idea of a sculpture walk, everyone likes the idea of walking. Last week I was working a sculpture walking map for Walks Victoria. It is almost finished; just a few more photos to upload. Anyone can map out a walk on their website and I notice that there are a couple of street art walks (I am doing my walk for an exchange for publicity). Anyway, fantasy conversations aside, Melbourne Books has done a fantastic, unbelievable job at promoting my book. I’ve had the experience of going into a bookshops and not being able to find my book because it has been so prominently displayed. 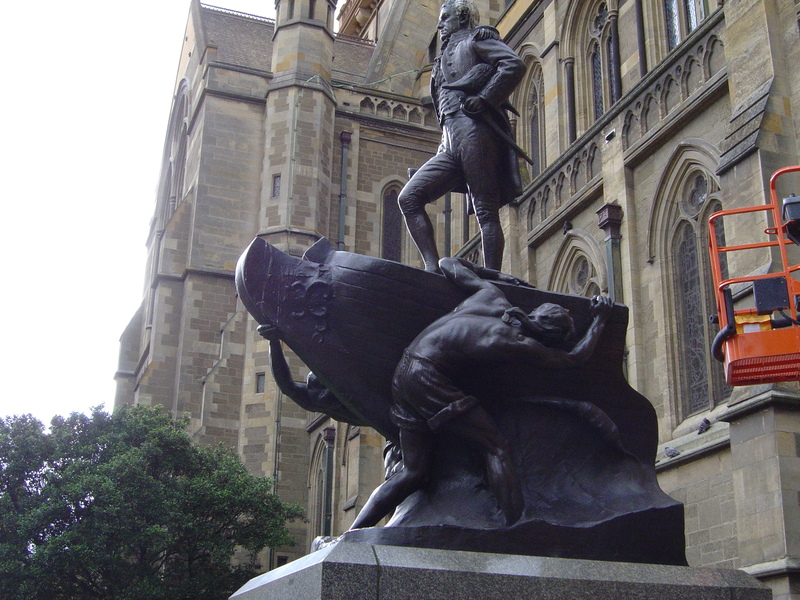 Charles Web Gilbert, Matthew Flinders Memorial, a stop on my walk. This entry was posted on Wednesday, August 19th, 2015 at 7:28 PM	and tagged with Melbourne, Melbourne Books, Melbourne Writers Festival, psychogeography, Sculptures of Melbourne, walking tour, Will Self and posted in Blogging. You can follow any responses to this entry through the RSS 2.0 feed. Congratulations Mark, that’s really a wonderful achievement. Its an incredible moment to hold in one’s hands the book, the actual material book, that up until that point had been an idea. And a lovely cover photograph. Enjoy the festival. Thanks Rose. The cover photo is by Matto Lucas, a wonderful young photographer. With a book it is such a group effort to actually get a physical object together and distributed. Great to hear Mark. Hope you enjoy the festival and get to be a fan boy. Greenly yours. I didn’t get to be a fan boy but I was very lucky with the Writer’s Festival.